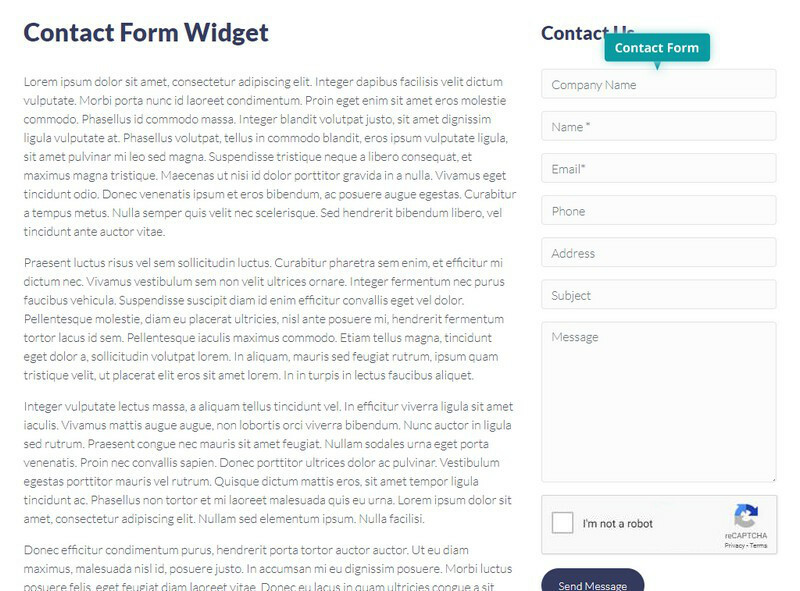 Contact form is an ajaxed widget which will help you to add a contact form to any widget area. Fully supports the Google reCAPTCHA so you don't need to worry about the spam anymore. You can select additional fields, like phone, address or a company name. The widget itself doesn't have any additional options. 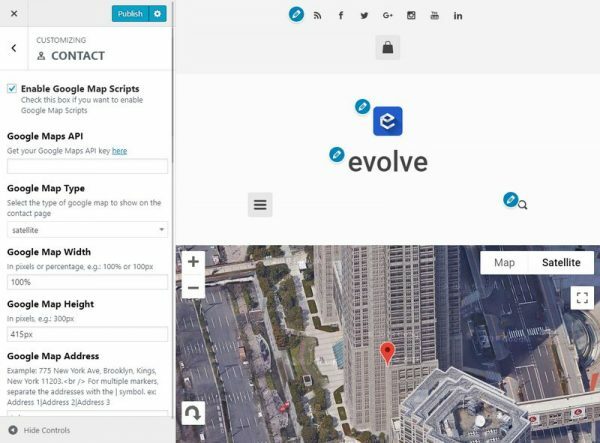 All options used in this widget can be set in the contact section under Appearance Customize Contact. In this section you need to set the Email Address field and the Google reCAPTCHA Keys, to get the form working.